Calypso Farm has a horseback riding lesson program for all levels of riders. Whether you are a first time rider, an avid competitor or just getting back into riding, we have a horse and instructor for you. Our quality lesson horses and ponies are carefully selected by our expereienced staff and with our quality facilities, we guarantee the riding experience you are looking for. 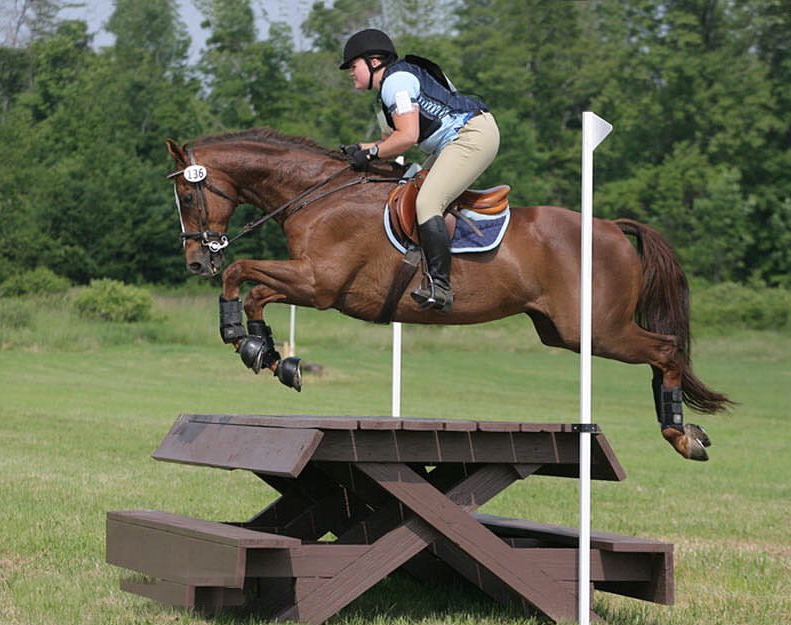 Stefanie's unique talent reaches from teaching beginner riders all the way to training advanced riders through to top horse shows. 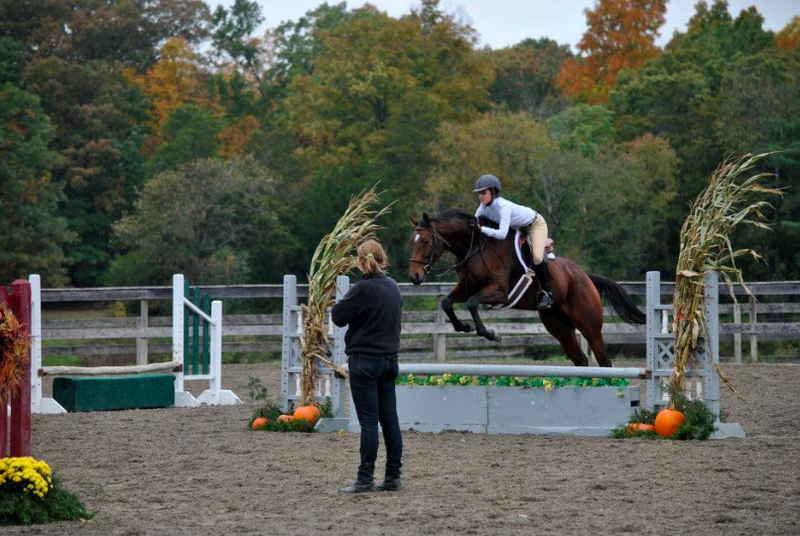 Here she's training a rider schooling a young horse at his first horse show. Many of Stefanie's riders compete in the USHJA Shows and have qualified and ribboned in the Zone II Finals.